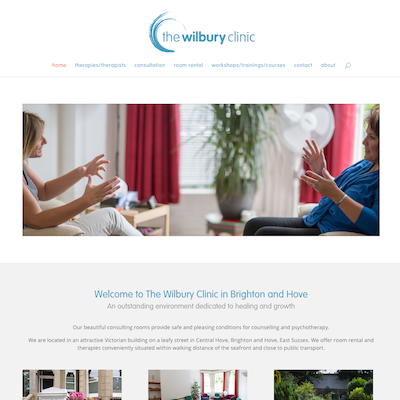 A redesign for The Wilbury Clinic in Hove, Brighton who offer room rentals to local counsellors and therapists as well training workshops and a beautiful space for clients. The site has been built with WordPress to allow the team to edit the content themselves. It uses a modern responsive theme to work well across different devices. Care was taken to construct a website that was clean and simple to use for visitors.